Good price and needed new ones. I needed some knee highs. I have wore them before and enjoy their comfort. Hose I get usually are too tight. needed compression socks--a good bargain. Love them...been wearing them since hip replacement surgery in late 2014. Same reason as above, I have circulation problems. 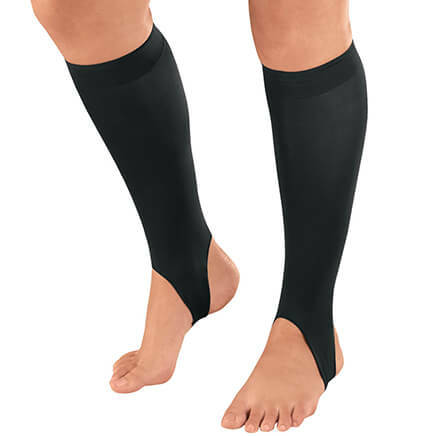 I am a diabetic and want these to wear around the house and with my dress pants..
To protect Mom's legs from binding knee socks. My ankles swell when I travel and we're going on a Cruise ! I am diabetic and Ineed them. I wanted something comfortable and not as tight as regular knee highs. need because I have diabetic nerve damage and my legs are weak and painful. These socks are perfect for my Mother. It has really helped with the swelling of her feet. The description fits what I need - wide, non-restricting top band. I have leg swelling due to poor circulation. I'm hoping these won't hurt or cut off circulation. I am a diabetic with swelling issues and hope these help. Finding queen size knee hi' are to tight. "This is one of the items on Miles Kimball that I've come to consider a standard. They stay up without pinching. No more indents around my ankles at the end of the day. I'm very happy to be able to get these." this is the only place I have found these at such a great price. 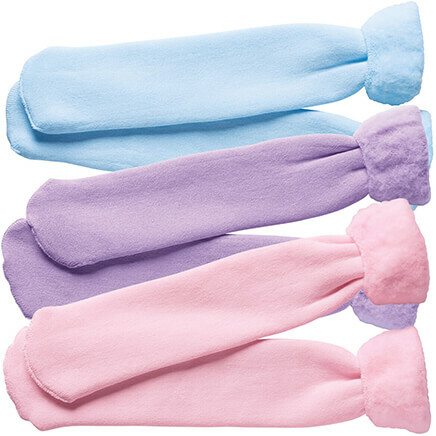 looking for low cost stockings that are made for poor circulation. If I like them and they are made well enough for repeated uses within reason, I will continue to purchase more. BEST ANSWER: Thank you for your question. We are listing the sizes below. We hope this information will be of help to you. •Fits women’s shoe sizes 9-13. I wear size 6 shoes and the sox are a perfect fit. does this come in 30-40 mmHg? what do you have in 30-40 mmHg? BEST ANSWER: Thank you for your question. These hose are less than 8mmHg. 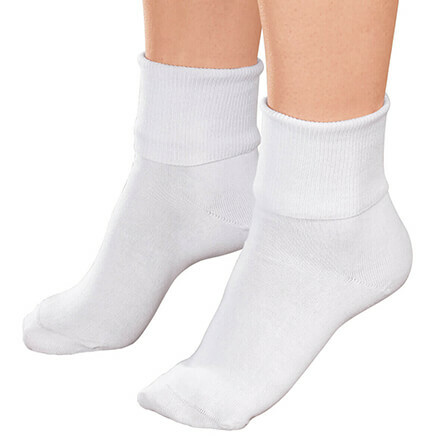 We do offer one pair of compressing socks that are 20-30mmHg. We have included a link to this item below. We hope this information will be of help to you.